I am glad to present to you this midi file which i have created about 1999. It is a goa track. 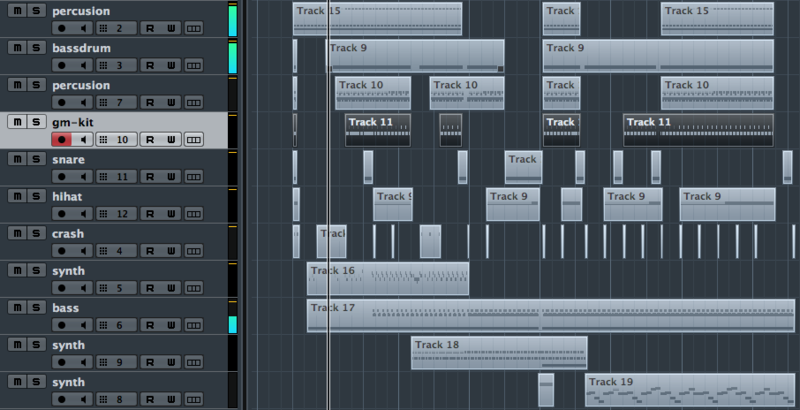 Unluckily the mixdown got lost. So now it is up to you to import this file into your DAW (Logic, Cubase, Live, Garageband, wftse) and create a new version of it. Feel free to totally rearrange the whole track. Surprise me. Please send me a copy of your work. Thanks. The file is given to you under the CC by-sa or at your choice GNU/GPL license, so you can do with it whatever you want, even selling it. But you have to give your derivatives away under the same license and mention c1audio.com as originator.